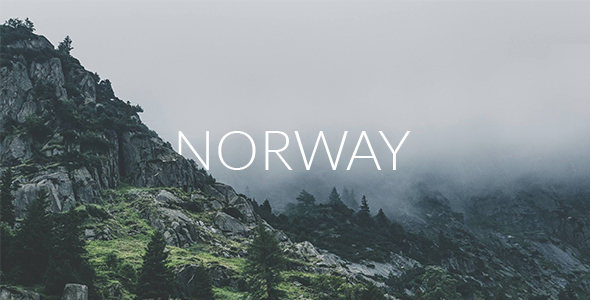 Norway Theme is focused on readability and combines clean design & excellent user experience. Designed to stay out of readers view and let your content do the main work. With generous spaces and large, legible fonts, theme will encourage visitors to keep on reading. 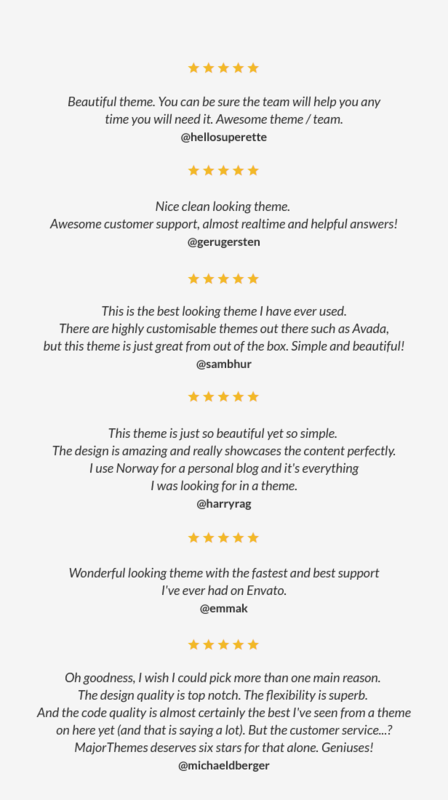 Norway Theme can be used from the box or easily customized with native WordPress customizer. You can easily integrate your Instagram or Twitter accounts with built-in Widgets and create a Store with WooCommerce plugin. We at Bekento strongly believe that privacy should be the key feature of any product or service in modern web. Norway theme does not track your website, does not gather any information, telemetry or metrics. Thanks for checking out Norway!